Had that introduction been made just a few years ago, Mr. James Laurence Balsillie just might be the owner of a NHL franchise. Let's rewind. On October 5, 2006, Balsillie made a bid to purchase the Pittsburgh Penguins for $185 million from Mario Lemieux and his partners. On December 15, 2006, He withdrew his bid to buy the team after receiving notice from NHL commissioner Gary Bettman that the league would not approve the deal unless he agreed to keep the team in Pittsburgh. Although he did not divulge a plan to move the team, it was widely speculated that Balsillie planned to move the team to Canada. His sudden withdrawal left Lemieux angered and many of the other 29 owners suspicious. Wasting no time... On May 23, 2007 it was announced that Balsillie had reached an agreement to buy the Nashville Predators from Craig Leipold. In a familiar sounding tone, Balsillie had stated that he would move the Predators to Hamilton, Ontario as soon as the 2007-08 season. Balsillie questioned Nashville's viability as a hockey market and cited the team's relatively poor attendance record despite their on-ice success. Again acting swiftly, on June 14, 2007 Balsillie started to accept season ticket deposits for the Hamilton Predators through Ticketmaster. By June 19, he was believed to have 12,000 deposits for season tickets in Hamilton, far exceeding the Predators' current season ticket base. His intention was to show the NHL Board of Governors that Hamilton is a more viable NHL market. What Balsillie did show was that he had a lack of respect for the NHL property and trademark by selling tickets for a team he did not own, and in a city in which the franchise did not reside. Needless to say, neither the Commissioner nor the Board of Governors were impressed. Obviously, the attempt to purchase the Predators fell through. On May 5, 2009, Balsillie made an offer of $212.5 million to purchase the Phoenix Coyotes, conditional on relocation to Hamilton as soon as the 2009-2010 season. Pending bankruptcy proceedings, the Board of Governors unanimously rejected his ownership application. As each entanglement and argument expands, Balsille further distances himself from the Jeremy Jacobs' and the Ed Snider's and increases his ever growing perception of being the NHL's own version of Al Davis. In each of the aforementioned ownership bids, Balsillie could have won control of a NHL franchise if he would have applied just a smattering of commitment to "attempting" to make a go of things in their current market. Then, when proved over time, that his franchise could not survive without a change in market, he, in conjunction with the league, could find a suitable alternative... but, then again Jim Balsille had yet to make the acquaintance of patience. and if you believe that, i've got some... real estate in glendale to sell you. Give Jim Balsille a team. Professional sports are first and foremost entertainment, and the NHL should take anything it can get that could possibly increase its market share. Sure Balsille is brash, but the I don't think the league would suffer even from a Mark Cuban-type owner. And once again, no one cares about hockey in Arizona. Most of the fans are probably Canadian ex-pats anyway. Grant Balsille the move to Hamilton for the 2010-2011 season. Also, Balsille was right to comment on the "moral character" or whatnot of some of the NHL's owners. They need to stop throwing stones at him from glass houses. I do not disagree that Balsillie could be a successful owner in the NHL. I also support moving one of the struggling non traditional markets to a Canadian city where it will thrive. However, it would be tough to argue that Balsillie has not gone about this all the wrong way. He need not try to move franchises before he actually owns them. He also should not be so fixated on Hamilton. Sure it's a great hockey market and he already has an established relationship. Yet, he has established a pattern of completely ignoring the fact that there are 29 other franchises in the league. Not once has he exhibited even the slightest consideration to what impact moving a franchise just before the start of a season would have on other franchises in the league. He has also displayed a complete disregard to existing market infringement. Franchise owners have a primary self interest, but they are also part of a collective. Balsillie's actions have proved thus far, that he really does not fit well in to that collective. I believe his best opportunity was in purchasing the Predators. Had he not tried to pull his rogue ticketmaster stunt, and at least pretended that he had interest in trying to keep the team in Nashville, he may very well be working out a deal to move his franchise to Quebec City, Winnipeg or even Hamilton today. It's tiring to hear the Canadians bemoan hockey in the USA. Without the United States, "your" league would be in small markets all over Canada and your star players all living in Europe or Russia because that's where the money is. I am a huge Red Wings fan but live in Phoenix. I tend to get to 5 or 6 games a year. I'd go to more, but they moved the stadium approximatley 60 miles away from where I live. The Coyotes put on a good show. The stadium is state of the art and there is not a bad seat in the house. The ticket prices are reasonable. Free parking! Naturally, winning would help with attendance. So would keeping their arena in downtown Phoenix or even Scottsdale. But I would submit that the fans who do get to Coyotes games are bigger fans than your average Canadian just by virtue of what they have to endure to get to a game to watch a crappy team lose. I suspect a Toronto hockey fan is a lot like a Lakers basketball fan... more interested in being seen at the game than seeing the game. I think it's BS to conflate the Coyotes poor management into an overall bashing of "American hockey fans", which is pretty much mostly what I hear from Canadians on the topic. by "tv ratings", I mean the NHL's overall package.... you think ESPN thinks the NHL is better with a team in Phoenix or another one in Canada? balsillie is a smart business man. he knows that it would be a terrible move financially to buy a franchise without first securing the right to move it, because the BOG and bettman will do everything in their power to prevent a move to canada. his mistake was to believe that he could sell the move to the BOG by showing that the team was financially viable in hamilton (by taking deposits for season tickets), when in actuality, no amount of fiscal solvency seems to be able persuade them. it is naive-- wilfully naive, perhaps-- to believe that, if balsillie had been "patient" and done everything the "right way" re: nashville, he would be operating a team in canada by now. more likely, he would be hemorrhaging money in nashville, with no likely option but to move the team to kansas city, oklahoma city, seattle, or portland. League policy states that one condition for relocation to be accepted is that the new owner must make a good faith effort to keep the team in its current location. Regarding his attempted purchase of the Predators, had Balsillie taken a year, or even two to demonstrate his claim that Nashville was not a viable market, despite the quality of the on-ice product, his argument would have become undeniable. AFTER fulfilling the good faith standard set by the league, Balsillie would have had every right to protect his investment and THEN would have a much more plausible line of reasoning to present to the BOG regarding a greater viability in another market. However, Balsillie has repeatedly ignored protocol; has tried and failed to rush this process and burned his bridge to ownership a little more each time. The league has never denied Balsillie’s assertion that Hamilton is a worthwhile endeavor. They have taken issue with his methodology. I do not see it as naivety to suggest that Balsillie should have followed etiquette and showed a modicum of patience in order to persuade his audience. 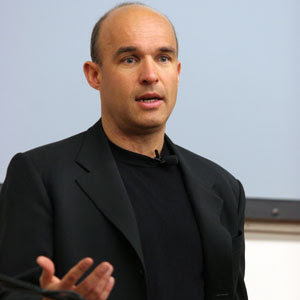 In his attempts to sell himself to the Board of Governors, it has been Balsillie that has proven himself naive. He needed to gain their approval and he attempted to persuade them by committing trademark infringement, disregarding the investments of all other NHL owners and refusing to acknowledge the league standards for relocation.